To anyone involved in the precision rifle / sniper community, the name Accuracy International (AI) signifies one thing – the best. AI, has been in business for over 35 years, headquartered in Portsmouth, Hampshire, England. 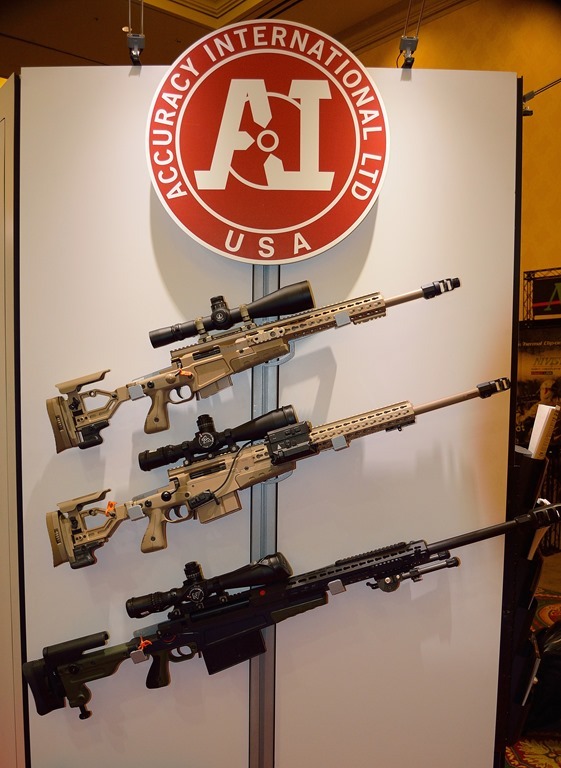 The company has supplied more of the world’s armed forces and law enforcement agencies with precision rifles than any other company. Noted for their AI Artic Warfare (AW), it continues to innovate and dominate the field in 2014. AI’s 2014 line up looks very promising. It also marks R.I.P. 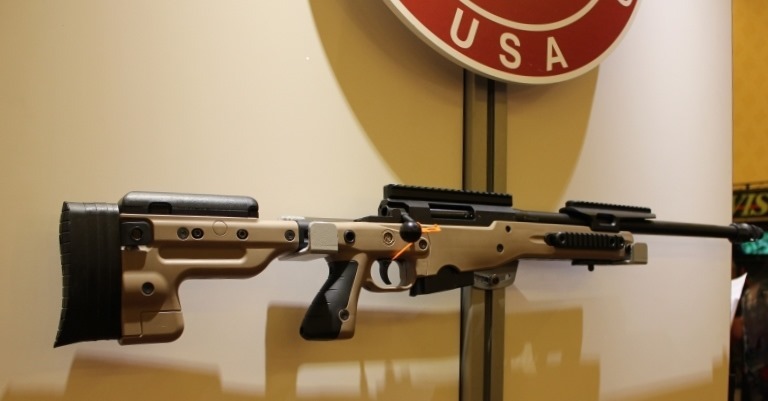 of the venerable AE and AW rifles with introduction of the AI AT. The AI AT features a folding stock that is adjustable for cheek height as well as length of pull. The rifle retains the AI hallmark chassis with a 10 round magazine. Skins are still interchangeable. The forend is configurable with a variety of accessory rail systems that attach utilizing the AI patented keyhole slot system. It will be available with and without muzzle brake and in barrel lengths of 20”-26” threaded with muzzle brake or not threaded. Integral to the AT’s chassis is the ability to attach an optional UNS rail for your thermal and/or image intensified optics. Base price for the rifle is $3550 + 11% Federal Excise Tax. This entry was posted in 2014, Advanced Chassis Systems, SHOT SHOWS, Sniper Systems and Tools, Weapon systems and tagged Accuracy International, AI, AI AT, AI AX, AX. Bookmark the permalink.